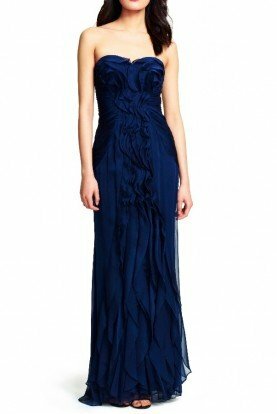 Primavera Couture 1127 brings you true glamour with this amazing evening gown. This dress has a high neckline and long sleeves. Sheer fabric accents the upper with stone embellishment throughout. 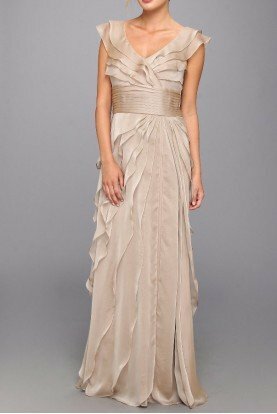 The bodice is fitted and the skirt has a subdued flared silhouette and full length hem. A slit at the side adds a dramatic finish. FIT: Dress runs a size or two small.